Four new designs for Spring 2018: Mother's Day, Jack in the Books, English Countryside (all 16 oz. ), and our 11oz. Spring cup. 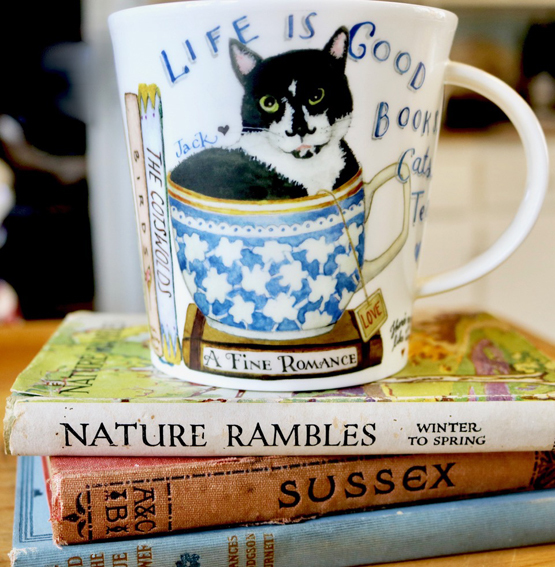 (Each cup is sold separately, OR (less expensively, pre-orders only), in a group of three that includes Mother's Day, Jack in the Books, and English Countryside).